Many of those who have been charged with driving under the influence have no previous experience dealing with the criminal justice system. What they know about DUI offenses and the DUI process may come from what they have heard from friends or have seen on TV. 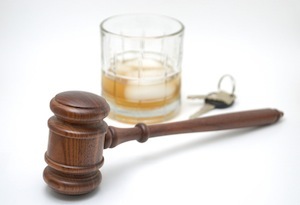 As a result there tends to many misconceptions surrounding the DUI process. There is a common misconception that a driving under the influence offense is just like any other traffic infraction that will result in a fine and points on one’s driving record. However, this is not true. Unlike most other traffic offenses, driving under the influence of drugs or alcohol is a misdemeanor offense that can result in a variety of criminal penalties as well as a permanent criminal record. For most traffic infractions, the penalty is generally a fine and a potential license suspension. An infraction does not go on a person’s criminal record and would not be visible on a criminal background check. Someone convicted of driving under the influence can be sentenced to jail or may have to complete community labor or community service hours. In addition, the defendant would be required to complete a drug and alcohol education class and may have to complete requirements such as the Hospital and Morgue program or the MADD Victim Impact Panel. The defendant would also have to pay extensive court fines and restitution to compensate the victim for any damages incurred. A DUI incident will also trigger an administrative license suspension from the Department of Motor Vehicles. The suspension will automatically go into effect unless the driver requests a formal hearing within ten days of the DUI arrest. For most first time DUI incidents in which there is no refusal allegation, the administrative suspension is four months. The driver would be eligible for a restricted license after 30 days. In addition, there would be a license suspension triggered by any court conviction for DUI. In Los Angeles County, the driver would be required to have an ignition interlock device installed into his or her vehicle before driving privileges can be reinstated. In addition, there are a number of other collateral consequences that may occur as the result of a DUI conviction. A person convicted of driving under the influence would have a criminal record that would be visible to anyone conducting a criminal background check, including future employers or landlords. People may believe that they can only get a DUI when they subjectively believe that they are too intoxicated to drive. Often people get behind the wheel when they have only had a couple drinks and feel that they are sober enough to drive. However, as long as a driver’s blood alcohol content was .08 percent or higher he or she could be charged with driving under the influence. The driver may feel that he or she can drive and may only have been pulled over for an equipment violation, however criminal charges and a license suspension can still be imposed if the driver was at or over the legal limit. Thus, even people who were just feeling a little tipsy can be charged criminally. People are familiar with the Miranda warning that is often quoted in movies and television show. There a common misconception that an officer’s failure to read a Miranda warning will lead to criminal charges being dismissed. Unfortunately, this usually is not the case with DUI offenses. The Miranda warning is required to inform those who are arrested that any statements could be used against them. The remedy for a failure to provide a Miranda warning would be suppression of any confessions or statements made during a post-arrest police interrogation. By the time someone has been arrested for DUI, they usually have already been asked questions about their earlier drinking or drug use. In addition, they may have also completed a series of field sobriety tests and provided a breath sample on a PAS device. There generally is no need for a post-arrest interview. If you have been arrested for DUI, it is crucial that you speak with a Los Angeles DUI Lawyer right away. Attorney Michael Kraut is a former Deputy District Attorney with over 14 years of prosecutorial experience who is highly effective at fighting DUI cases on behalf of his clients. For more information about misconceptions about DUI, and to schedule your free consultation, contact Michael Kraut at the Kraut Law Group located at 6255 Sunset Boulevard, Suite 1480, Los Angeles, CA 90028. Mr. Kraut can be reached 24/7 at 888-334-6344 or 323-464-6453.